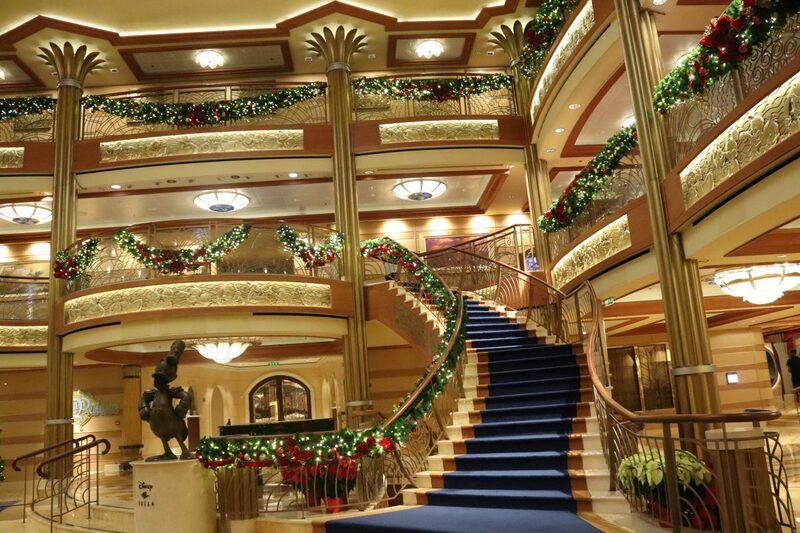 Sailing away for the happiest holiday at sea?! 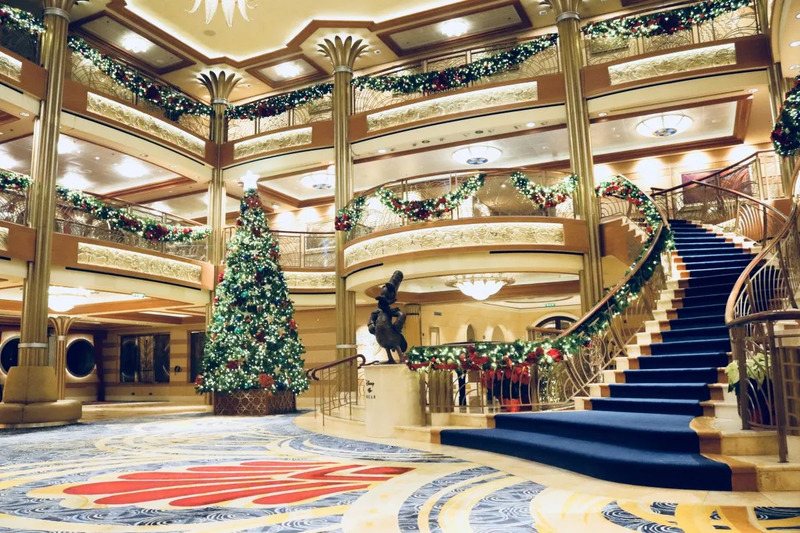 We just finished our first Very Merrytime Cruise on the Disney Dream and it’s safe to say may just be our new favorite holiday event. 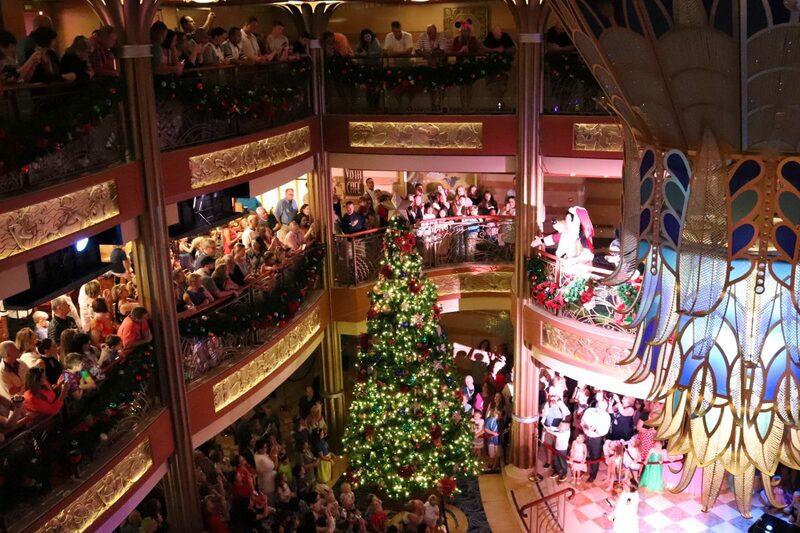 With so much to get you in the Christmas Spirit, you’ll find no shortage of festive fun on a Very Merrytime Cruise! With so much to do onboard, it can be hard to figure out where to spend your time, without feeling like you’re being rushed from place to place. 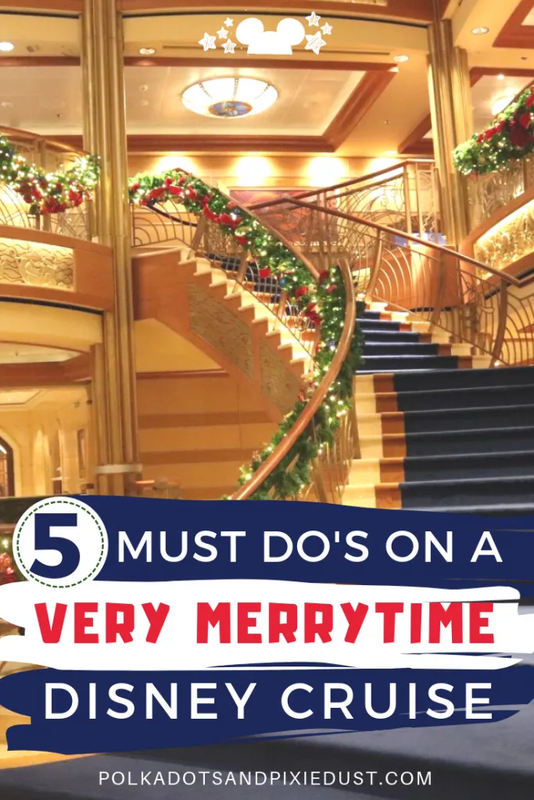 So here are our 5 must do’s on a Very Merrytime Cruise! I know, I know, everyone always recommends the sail away party. But there’s good reason for it! This is the perfect little deck party to transition you from land to sea and even if you don’t get into all the fun to be had there(which you definitely should btw), its fun to watch the boat set sail and leave the port. 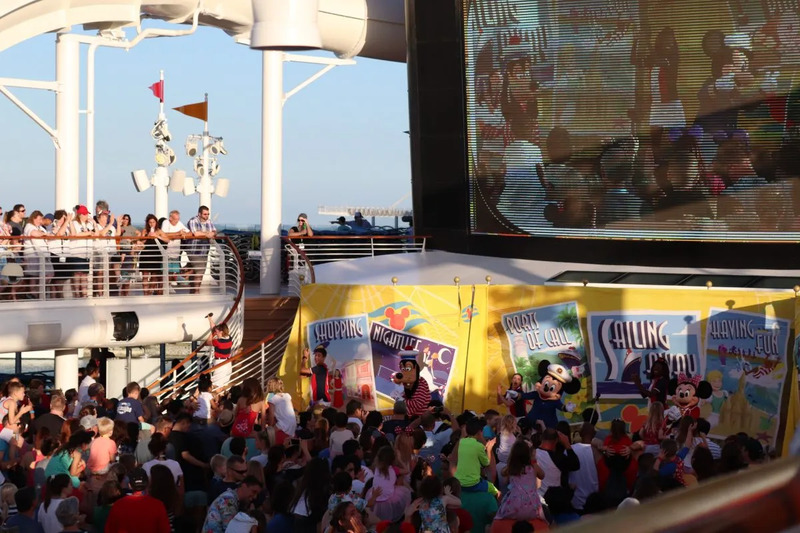 There are other deck parties during the cruise too, and we thought they were all fun! We also loved the Deck the Deck Party! 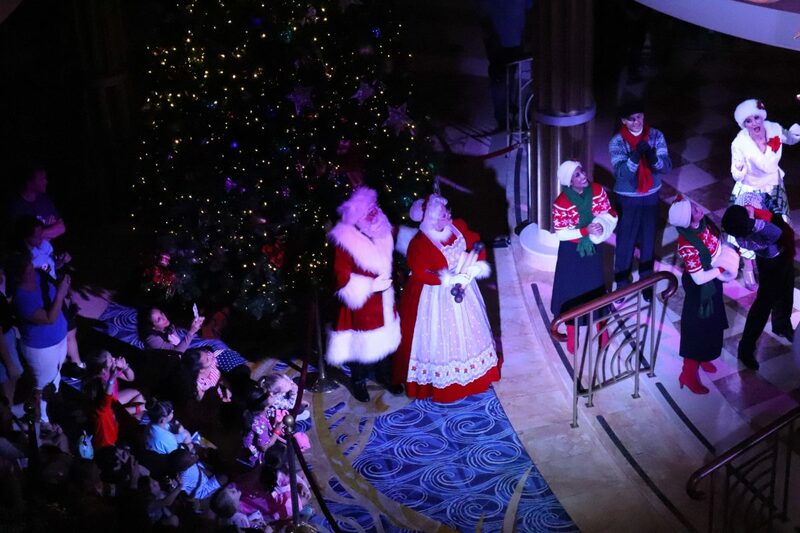 This was one of our favorite events on the Very Merrytime Cruise, and it happens on the first night. 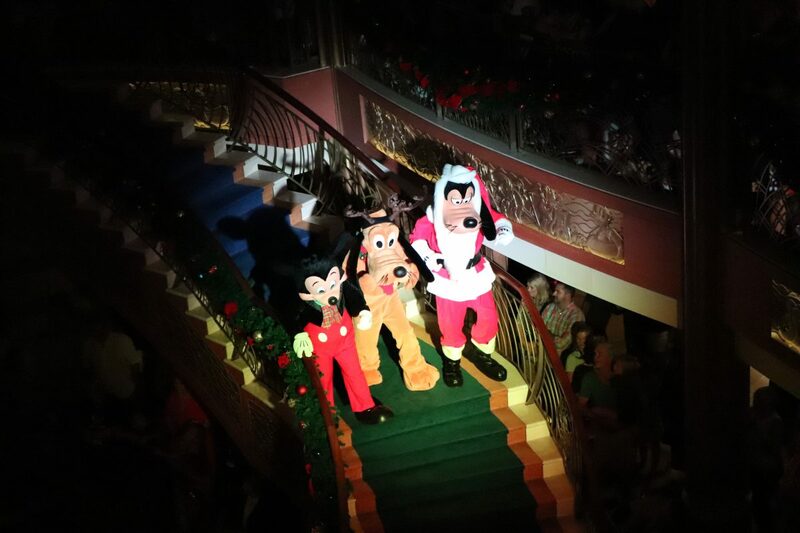 Mickey, Minnie and their pals come out in their festive attire and light up not only the tree, but the whole atrium! 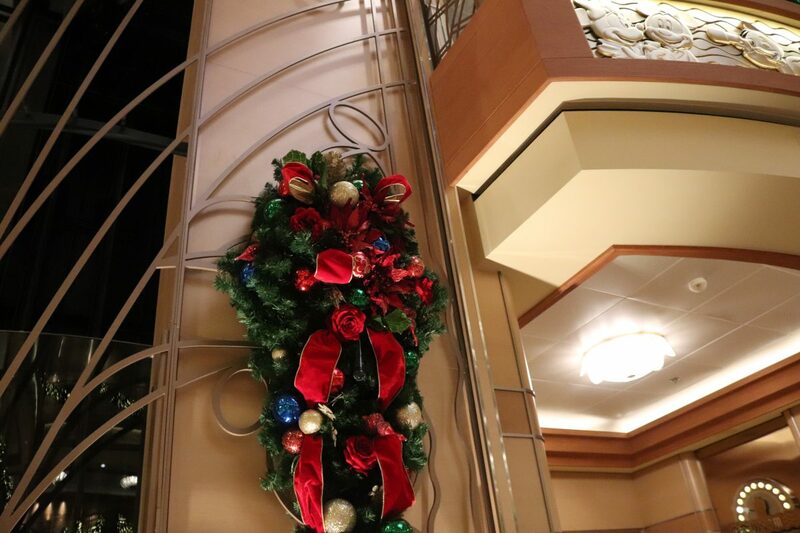 Garlands and wreaths throughout the ship get lit up and suddenly it feels just like Christmas. This is definitely not to be missed, but I will warn you, this fills up fast. This was right after our show for the night and we ended up taking a spot on the fourth floor to get an aerial view. But they do reserve a special section for little ones so they can see, so if your child is being ok with being away from you, they just might get a better view than you do! 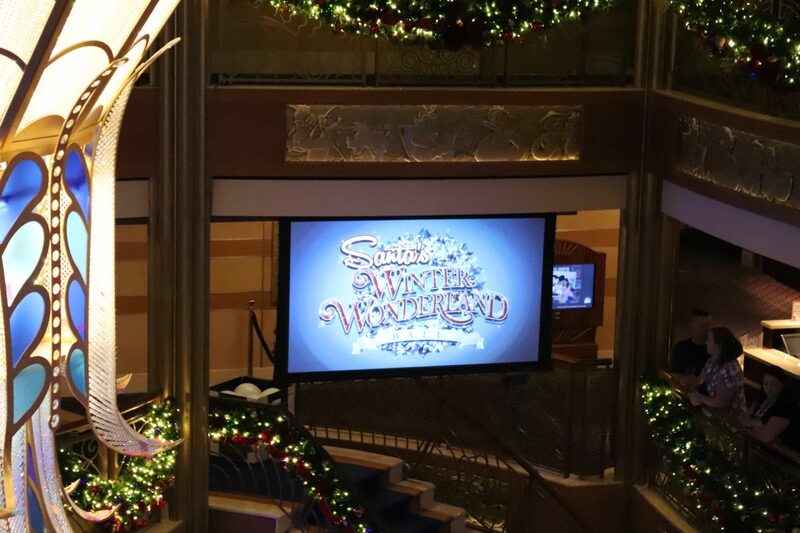 What makes a Very Merrytime sailing on a Disney Crusie even more magical?! Santa of course! 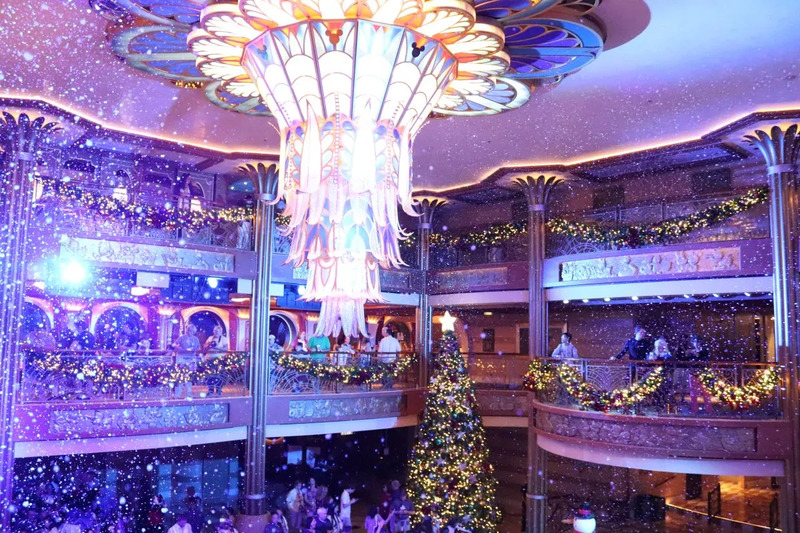 Santa is not just for kids folks, and if you disagree and skip this during your cruise, you will miss snow in the Atrium. Snow that’s not cold, in the atrium, AND Santa?! Yes, that’s right. Don’t miss it. This gets packed too, so try to get there early if you can. 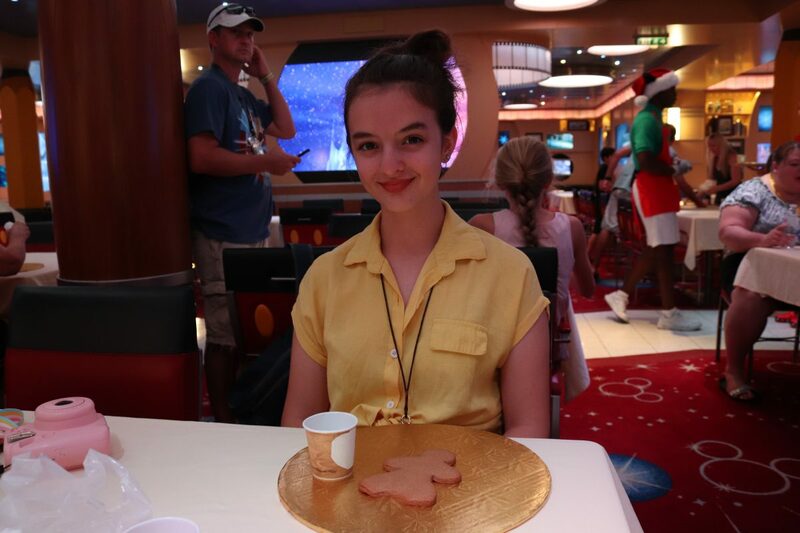 Even if you’re not a huge fan of character meets, you have to meet at least one character on the Very Merrytime Cruise! Ok, so technically you don’t have to do anything…. but we highly recommend it. These holiday outfits are different than the ones you’ll find in the Parks and may be once in a lifetime photo opps. 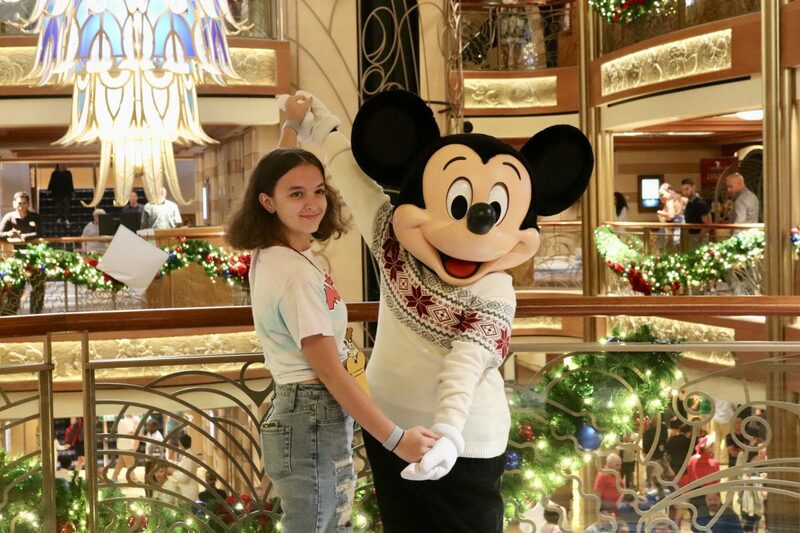 Plus, who doesn’t love meeting Mickey?! What a swell guy! Ok, hear me out on this. I know they’re just crafts, BUT, for the mostpart, the crafts are free! Which means free souvenirs. Or cookies. Or whatever it is that you’re making. And if you’re traveling with little ones, this can be a great activity for your whole family to do something Christmas-y together. 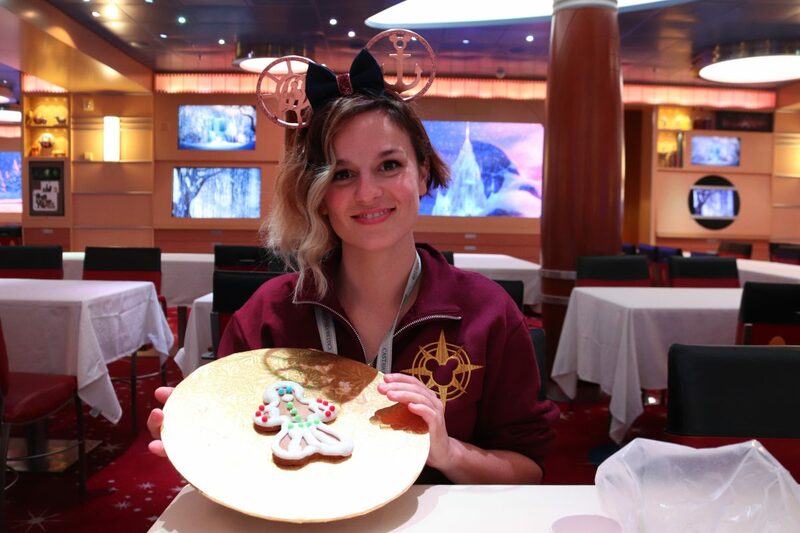 We originally wanted to make gingerbread houses because we had heard it was amazing onboard. Unfortunately, on this itinerary anyway, it is no longer offered. 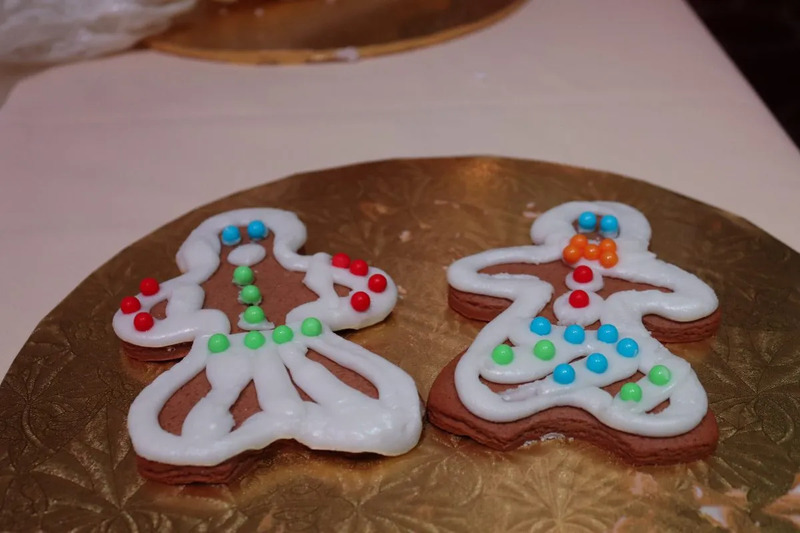 So we instead chose to make gingerbread people and even though it only took a little bit to decorate them, they were fun, festive, delicious and is actually something we would do together at home, which made it feel like, well home at the holidays. Its a simple thing, but sometimes the simple things are the things we enjoy the most. 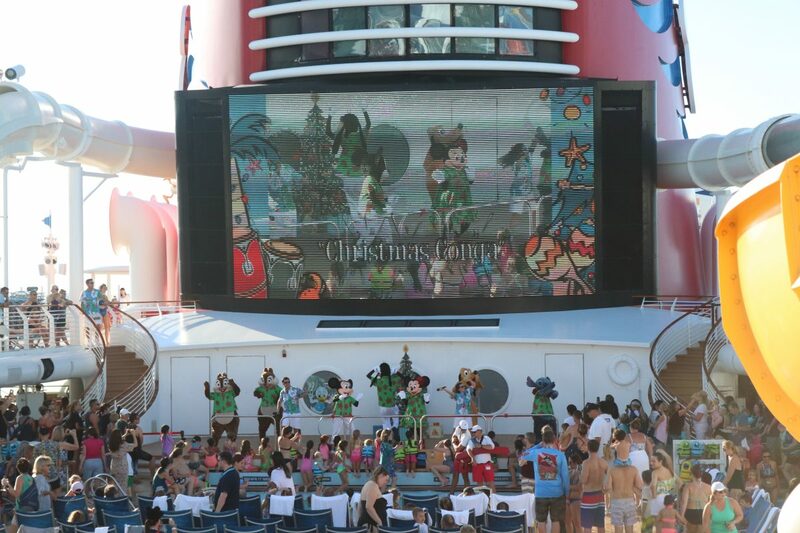 We highly recommend taking a Very Merrytime Cruise with Disney Cruise Line! We had so much fun and can’t wait to book another! 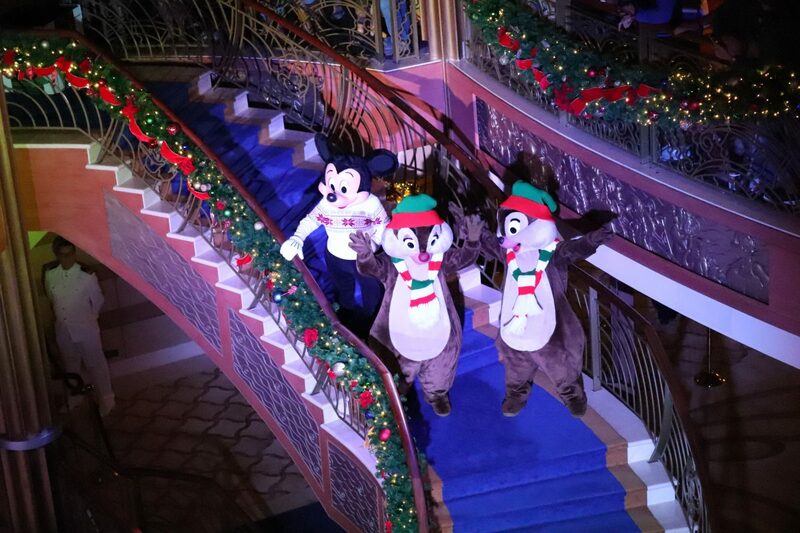 Be on the lookout for our full recap of our Very Merrytime Cruise on the Disney Dream! 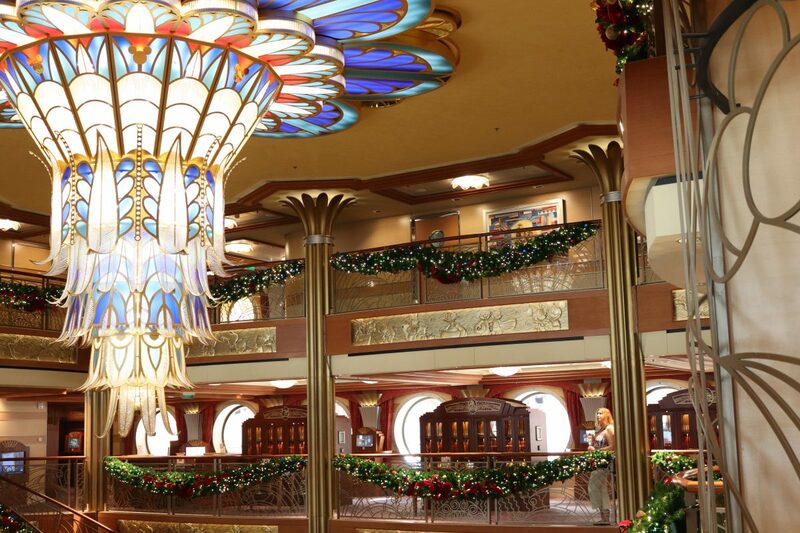 Have you taken a Very Merrytime Cruise? What are your must-dos? !